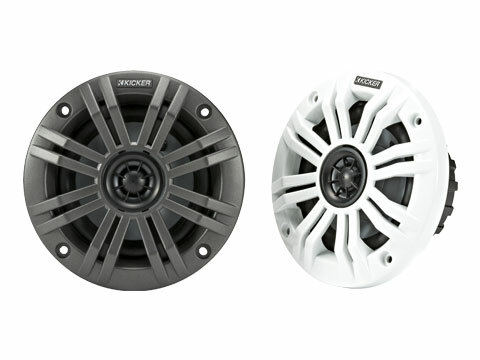 Hear them loud and clear, the KM Coaxial Marine Speakers are built to pump out the tunes – and the fun - for years to come! 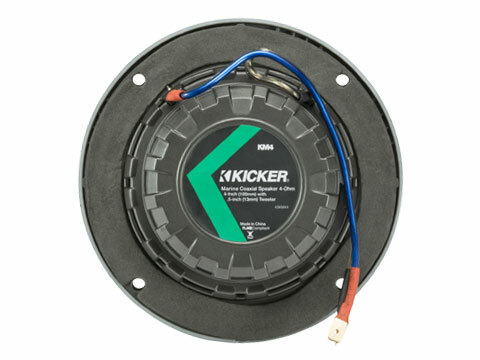 Whether you mount your speakers in the hull, or KICKER® tower enclosures, you also get a pair of stout marine-grade grilles! Our speakers are made to thrive in the water. UV treatments on injection-molded cones, Santoprene® surrounds, baskets and grilles all help maintain top-shelf performance. 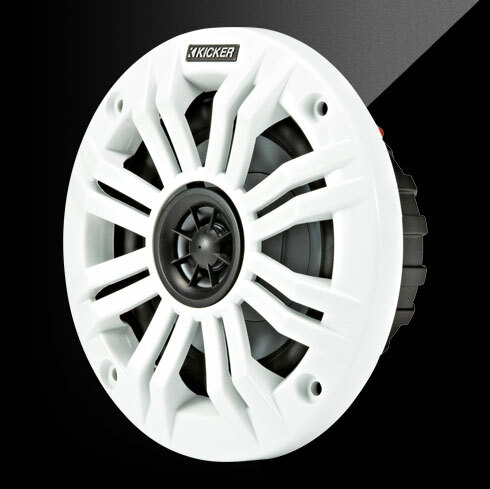 KM speakers will endure almost any weather conditions with splash-and-spray-resistant sealed motors and locking/sealed terminal covers. 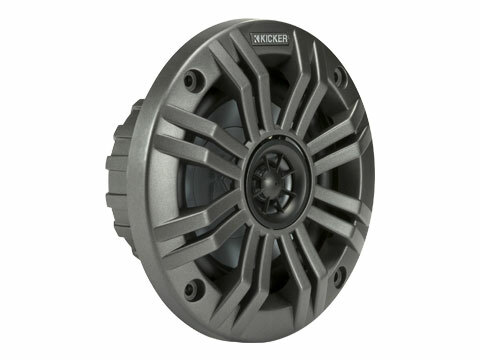 Speaker hardware is forged from rustproof, 316L stainless-steel. 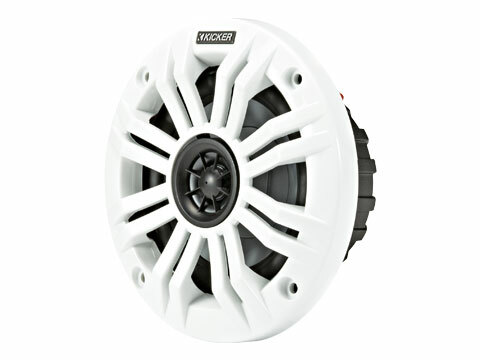 This KM Four-Inch Coaxial Speaker works best with 50 watts of recommended power.